Last week we announced our investment in AImotive, a leading provider of Camera-first Autonomous driving technology. The total size of the round was $38 million, led by Prime Ventures and B Capital Group, with participation form Cisco Investments, Samsung Catalyst fund and Series A and B investors Robert Bosch VC, Inventure, Draper Associates and Day One Capital. AImotive is headquartered in Budapest with offices in Mountain View, California and Helsinki, Finland. The market opportunity is simply too big. Autonomous vehicles are being developed rapidly. Industry analysts estimate that today’s assisted driving and autonomous driving market of $3 billion will reach $96 billion by 2025 and that by 2035 more 12 million fully autonomous cars and 18 million partially autonomous vehicles will be sold every year. The potential social benefits are too high. Driverless cars will bring better safety, less accidents, increased productivity and reduced congestion in cities, although these benefits will be realized over the long term. It is estimated that 90% of crashes are caused by human error. There has never been a more exciting time for autonomous cars. There is very strong momentum now. The automotive industry is being turned upside down, with numerous things happening simultaneously. These developments are accelerating the pace of change. Cars are shifting from mechanical to electric and software is becoming more important in car design. At the same time automotive manufacturers are creating internal teams and cooperating with technology companies and startups to bring driverless cars to reality. The technology is here. Cars with some form of autonomous capability already exist today. Vehicles with advanced capabilities are being tested in public roads. Artificial Intelligence is intelligence exhibited by machines. According to Gartner, the term is applied when a machine mimics functions that humans associate with human minds, such as ‘learning’ and ‘problem solving’. Artificial Intelligence is a very important component for self-driving cars (especially deep learning) and is improving significantly. Machine vision accuracy is critical in order to build autonomous cars. Vehicles need to be able to not only see but also understand the world around them, in real time in order to make appropriate decisions. Of course there are several factors and risks that could delay self-driving cars. The global regulatory framework is still being established. The significant amount of capital that is invested by automotive manufacturers, Venture Capital funds and technology companies is pushing (some) governments to accept autonomous testing on public roads. Nevertheless regulatory acceptance might take several years and will require strong validation of technology systems. Consumer adoption will also be a major factor of the success of driverless cars. The older population is currently skeptical of adopting autonomous vehicles. 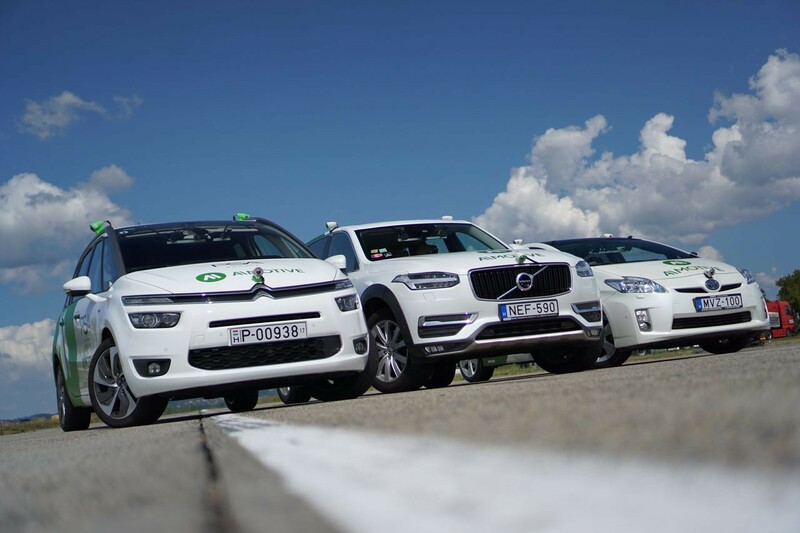 We are very excited to support AImotive in its journey to becoming a major player and a lasting brand in the self-driving industry. The team is designing a proprietary autonomous driving technology, relying primarily on affordable, off the shelf camera sensors and artificial intelligence based vision processing. Furthermore, the company is building a simulator for autonomous driving and a universal, AI optimised hardware IP. We are particularly enthusiastic on the modularity and scalability of AImotive’s approach, which makes sure that its software can be ported into various car models driving in various locations around the world. Its inherent scalability derives from its vision-first strategy. Simply put, using cameras as primary sensors, AImotive mimics the visual capabilities of human drivers. This is a fundamental difference from several other technology companies who try to build self-driving cars by using LIDAR as a primary sensor. Another main differentiator of AImotive from other players is the leading simulation technology that it has built in-house. This allows the company to test thousands of simulated scenarios every night. This amazing company would not be where it is today without the support of a great CEO and an exceptional, high quality team with over 150 members (and growing).